There are few things I enjoy more (at least among activities that don’t involve bird seed) than listening to a funny person. Thankfully for me — and for you! — one funny dude is coming to Northfield this week. 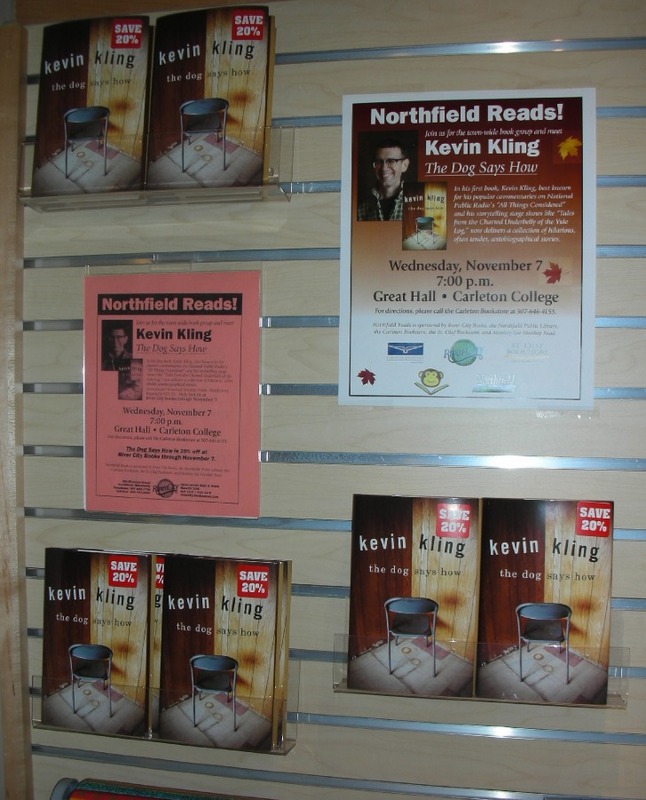 Kevin Kling, author of The Dog Says How, will appear at 7 p.m., Wednesday, Nov. 7, at Severance Great Hall on the Carleton College campus to discuss his new book as part of the Northfield Reads! communitywide book club. In his first book, Kling, perhaps best known for his commentaries on National Public Radio’s “All Things Considered” and his storytelling stage shows such as “Tales from the Charred Underbelly of the Yule Log,” delivers a collection of hilarious and tender autobiographical stories. Kling’s tales are at times enchanting and always true to life whether he’s hopping freight trains, getting hit by lightning, performing a banned play in Czechoslovakia, growing up in Minnesota, or eating things before knowing what they are. Kling, who lives in Minneapolis, is also a well known playwright and storyteller. His plays and adaptations have been performed around the world. Northfield Reads! is a free event sponsored by River City Books, the Carleton and St. Olaf bookstores, Northfield Public Library, and Monkey See, Monkey Read. The book is on sale for 20 percent off through the event. I hope to see you — and hear you chuckling — on Wednesday night.